The Environment after Brexit Conference at Bournemouth University, 11 April 2017, aims to address the important challenges and opportunities in leaving the EU. Leaving the EU presents both risks and opportunities for Environmental Law and Business in the UK. Before last year’s referendum, the British environmental profession was overwhelmingly in support of remaining in the EU. Now, thoughts are turning to the enormous implications of disconnecting UK from EU environmental laws. Domestic and European law are deeply intertwined and disentangling them will throw up a huge range of challenges, from transposing legislation to aligning regulatory regimes. What will happen to enforcement? How will funding for science and research be affected? Will UK institutions have the capacity and skills to do the important work that will be required? ENDS seeks to address these important challenges at the Environment after Brexit conference on 11 April, 2017 at Bournemouth University. 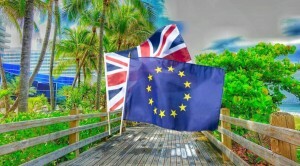 It is a key opportunity for business, environmental and legal professionals to hear from experts and take part in a discussion on what Brexit could and should mean in practice.